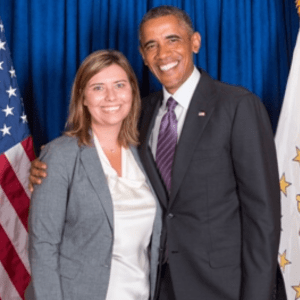 A resident of Washington, DC, Hayley Dierker most recently served as chief of staff and chief operating officer (COO) of the Democratic Congressional Campaign Committee (DCCC). In that role, she oversaw the recruitment and management of more than 140 individuals. Hayley Dierker also handled the daily administration of a variety of departments, including direct marketing, human resources, and diversity. Prior to taking on her most recent position, Ms. Dierker spent two years as COO and senior advisor to the chair for the DCCC and another two years as chief of staff of the chairman’s office. Hayley Dierker earned a bachelor’s degree in public relations and political science from Northern Arizona University in Flagstaff. While there, she served as Business Summit chairperson for a year. She was also involved with Pi Sigma Alpha, the Public Relations Student Society of America, and the Golden Key Honors Fraternity. She also holds a master’s degree in justice, law, and society from American University in Washington, DC. Masters; School of Public Affairs; Justice, Law, and Society Focusing on the foundations of public policy, including analyzing problems within the justice system, history and theory of our legal system, and research with an emphasis on criminal justice. Pi Sigma Alpha, Political Science Honors Fraternity: President; Public Relations Student Society of America: member; Golden Key Honors Fraternity:member; Dean’s List 2000-2004.